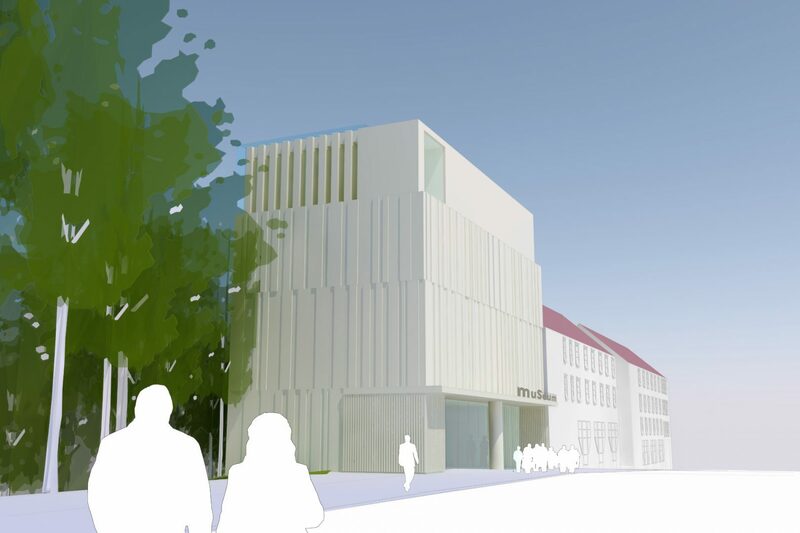 Keith Williams Architects was invited by the Freistadt Bayern (State of Bavaria) to prepare designs for a new 1,800m2, €15 million Sudetendeutsches Museum, on a site adjacent to the existing Sudetendeutsches House in Munich. 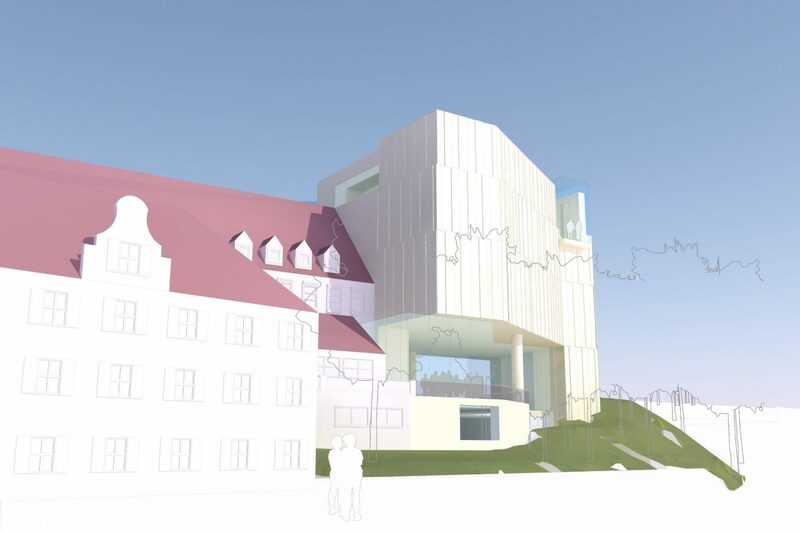 The new museum will exhibit key aspects of the history of the Sudeten German people and the diaspora to which they were subject, as well as providing a focus for archive and study. 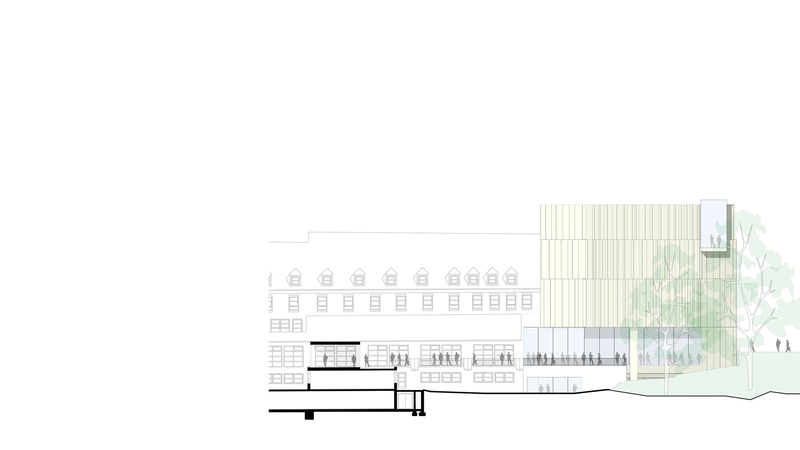 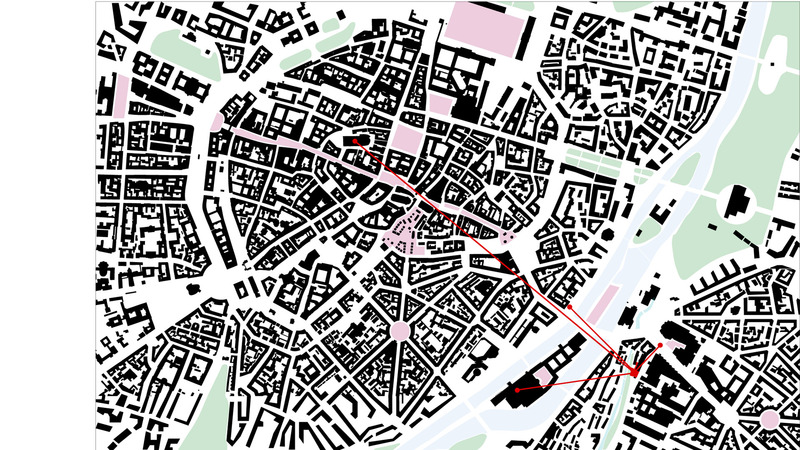 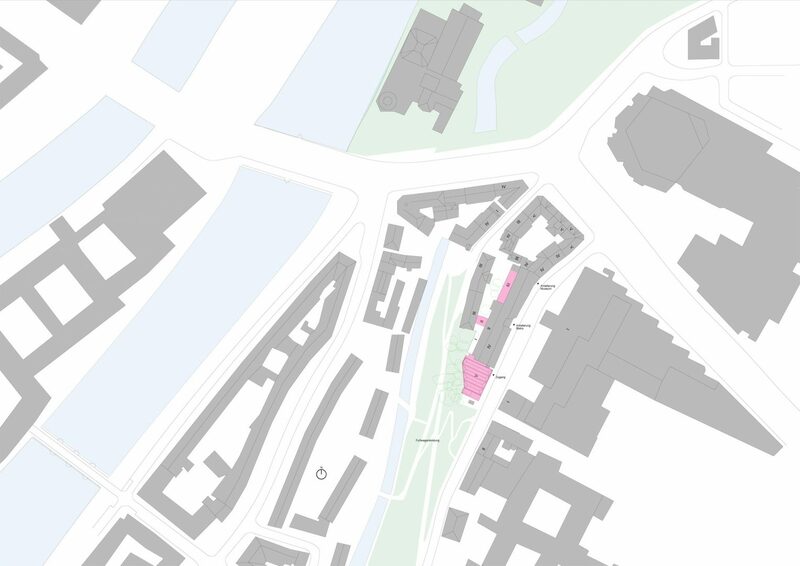 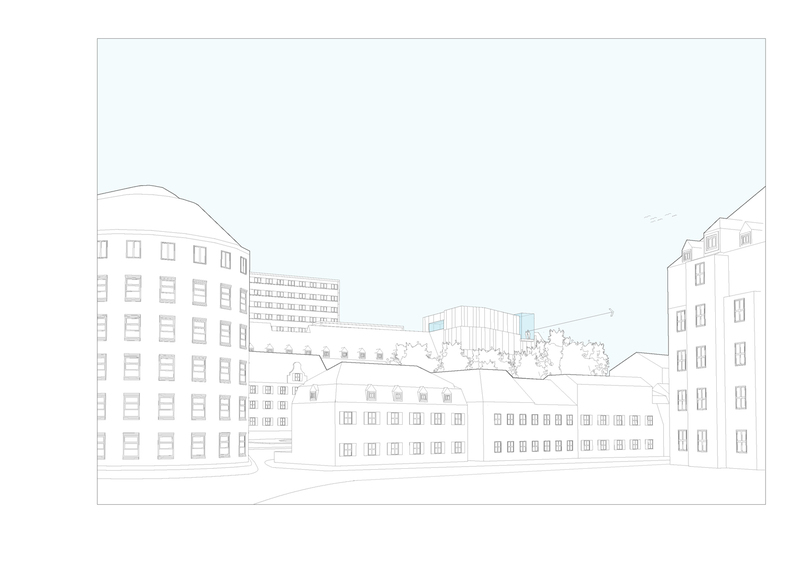 The firm’s premiated competition entry designs, derived from careful analysis of the immediate and wider urban context, and result in a highly prominent new museum building which will complete the streetscape within this area of Munich. 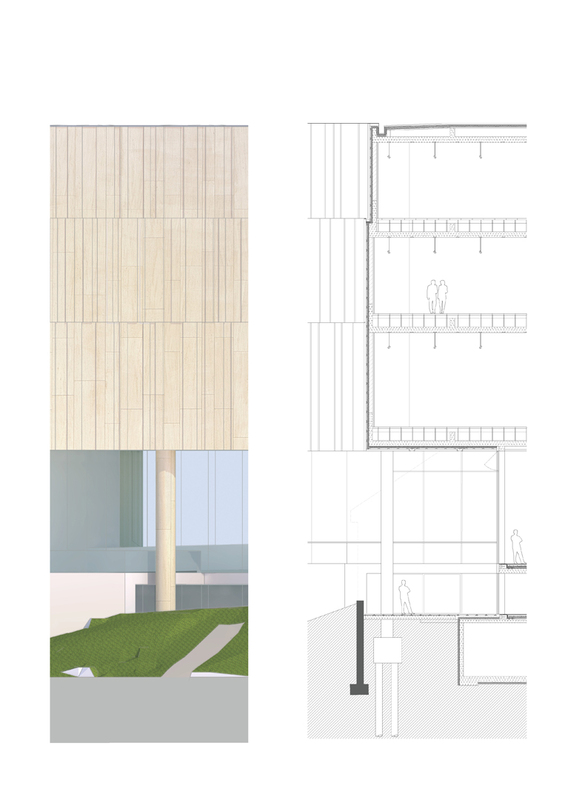 The museum’s building form establishes a clear and memorable identity and a sense of permanence. 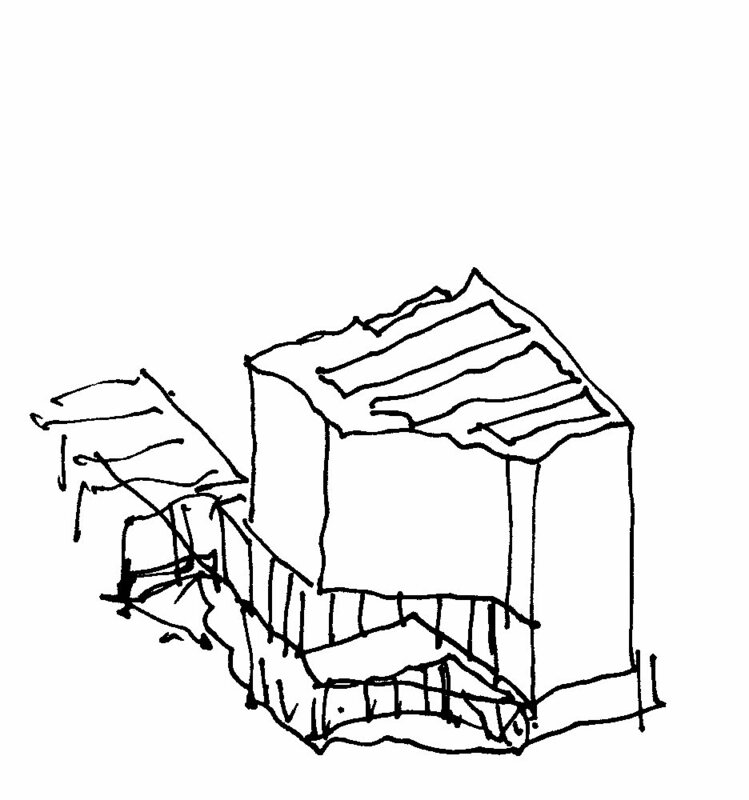 The solid architecture of the main galleries sits above the light transparent foyer, the whole composition deliberately restrained in order to achieve a legibility between plan form and its massing, as well as to accentuate the richness of the articulated surfaces of the stone facades. 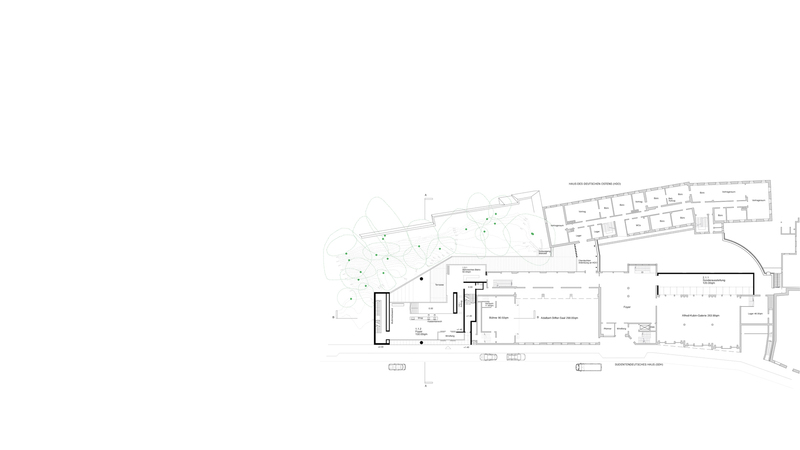 The street level foyer, and its entrance from HochstraBe, is as open and as transparent as possible, dissolving the boundaries between the street, the museum and the wooded garden within the Sudetendeutsches House grounds. 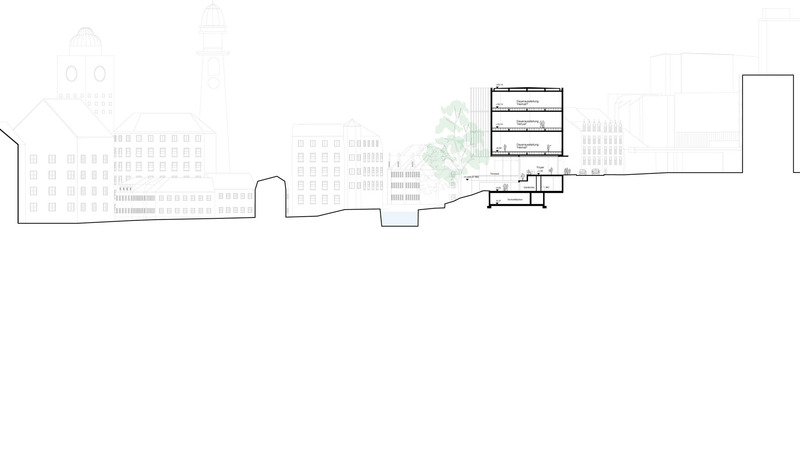 The main public stair ascends the height of the building connecting each major level, culminating in views across the Isar valley to the Museuminsel at the top of the building, reconnecting the visitor with the city.